This is the story of Corinne. Corinne is a brave young lady whose dream is to become a musketeer of the royal house of France, as was her father: the great Musketeer D’Artagnan. Although her mother was not sure that was the right way, she supported Corinne to start a trip to Paris and meet with the only person who could fulfill her desire of becoming a musketeer: Mr. Treville. Accompanied by her horse, Corinne doesn’t have the best of lucks, but she does not give up. In those days in Paris she meets Viveca, Renée and Aramina, three friends that share Corinne’s dream: be the musketeers of the royal house of France. Their dream could be fulfilled when they discover a plot against Prince Louis who will soon be crowned king. 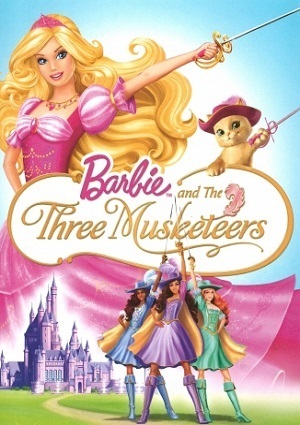 The four girls decide to defend the crown of France and fight together against the conspirators. The adventures that all four must live will test their courage, strength and determination to confront the danger. This is a big test for the friends and a new chance to have a royal guard worth of France’s crown. Prince Louis will know that he won’t have better musketeers on his castle.